Facebook Group Vs. Facebook Page: Which is Better for Marketing Your Brand? For some time now, social media has been a popular way for marketers and brands to get more exposure and grow their customer base. Among the many social media platforms on the web, Facebook ranks as the most popular with nearly 70 million active business accounts. 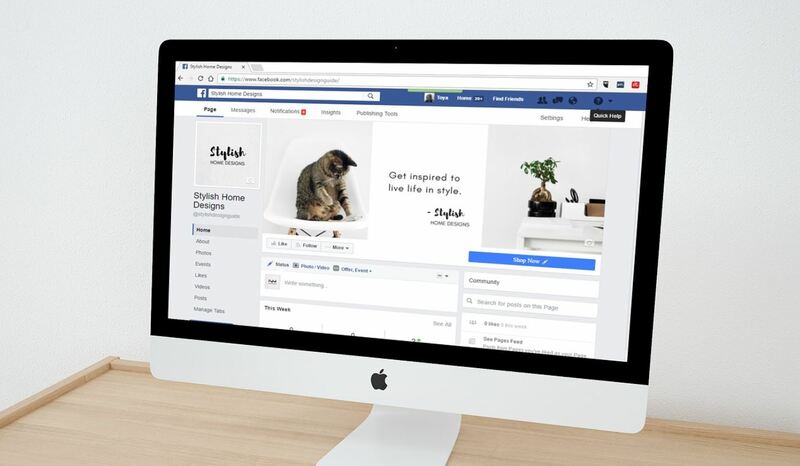 If you’ve been considering using Facebook as a marketing tool for your business, you’re probably unsure of whether to use the platform’s Page or Group feature. And given the overwhelming amount of information available online regarding the matter, researching it may only confuse you more. A Page and a Group are two distinct features of Facebook’s platform. A Facebook Page can be described as the personal profile of an organization, a public figure, or a business. Since it represents an entity, it has the visual and style elements associated with the business or website it’s promoting. The Page also acts as a communication channel with a brand’s fans or followers. Users who connect to a Page instantly get access to all the brand’s news and content. Meanwhile, a Facebook Group functions as a forum. It’s primarily used as a communication channel for people with the same interests. Members freely exchange information and knowledge with each other. Interactions are more honest and opinions are willingly expressed since the Group is considered a safe environment. One or more moderators can manage discussions within this space. There are several key differences between Pages and Groups, like ads, member interactions, and privacy settings. Any posts or updates made on a Page are visible to the public. Anyone who likes or becomes a fan automatically receives updates or notifications. Groups, on the other hand, are typically private. Membership can be by invitation only or has to be approved by a moderator. Ads are not allowed in Groups, although you can promote your product. Conversely, Pages can carry ads and promos, although there are limits. Facebook Pages and Groups both have their pros and cons. For instance, Facebook Pages can be set up easily. Updating them is also a breeze. Page creator tools can also be used for easy customization. You can also personalize the URL to make it easier for followers to remember. Pages are also a great way to openly engage with an online audience and advertise products. Groups, however, are more about communication and members can use emails, wall posts, and direct messaging. Interactions here tend to be more personal, making it easier to market directly to your audience. You can’t advertise directly but your network can spread the word about your brand, thus you get some free advertising. It comes as no surprise that Pages and Groups also have drawbacks. For example, it’s a well-known fact that growing Pages organically is difficult now. Facebook’s algorithm essentially leaves brands with little alternative but to invest in banner ads and boosts if they want to grow their Page quickly. Aside from that, moderators have to monitor all posts carefully since everyone can read it. Conversations between the Page owner and customers are also hard to manage. Facebook Groups can also be challenging, especially for marketers. For one, the platform does not offer Insights to groups so it’s more difficult to keep track of everything that’s happening between members. It’s also hard to customize Groups since they don’t have access to some of the design and SEO elements available to Pages. So which one is right for your business—a Page or a Group? That will actually depend on your goal. Pages are suitable for brands or companies who are out to promote their product or message. For instance, a brand’s Page is where they can talk about the benefits of their product and offer the latest deals. Meanwhile, Groups are better suited for in-depth discussions and for expanding networks. A budding businessman can join a Group for entrepreneurs to learn how to get started. Think of a Facebook Page as the front porch of a house and the Group as the living room. The porch is where you meet and greet people quickly. A Page acts the same way. People who visit your Page stop for a while to get the latest news and updates. There is nothing personal shared. Using the same analogy, the living room is where you let in the people you know and interact with them on a more personal level. It’s the same with a Facebook Group. People talk about their ideas, experiences, and passions. Interactions in this channel tend to run deeper and more passionately. There’s no active promotion allowed but members can build networks. Think of it as support groups for anything and everything, from mental health issues to SEO specialists. Facebook Pages and Facebook Groups are two powerful marketing channels. The former is similar to personal profiles while the latter is essentially a forum. Both can provide you with the chance to engage your audience and promote your brand.